This structure, built in 1908, has been modified and expanded over the years. But it still retains many of its distinctive details including ornamentation and a tower. It is Saint Paul’s oldest continuously operating fire station, and the fire rigs feature a frog wearing full fire gear. The building’s original curving arched doors were modified at some later point to accommodate larger fire equipment. This station was built at the time the city’s fire department was transitioning from horse-drawn rigs to motorized vehicles. 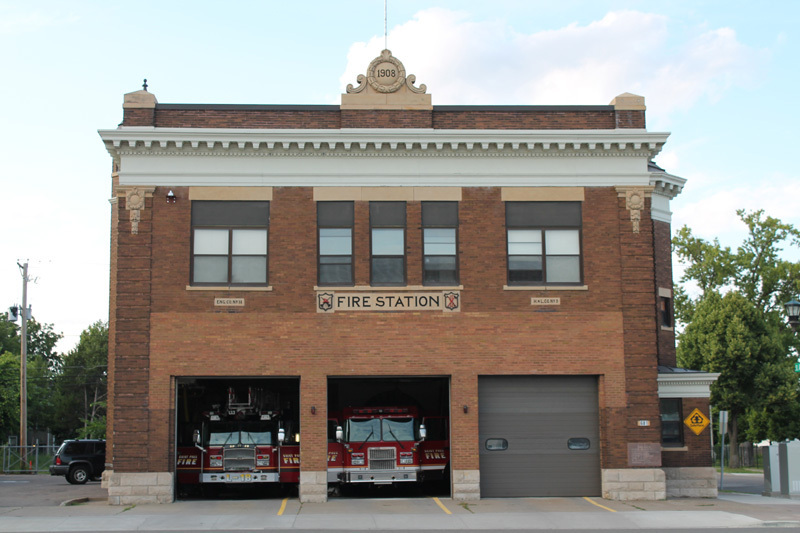 The plans for this fire station were used in the design of at least two other stations, on Snelling Avenue in Merriam Park and Ohio Street on the West Side. Both of these buildings have been decommissioned and are in private use. 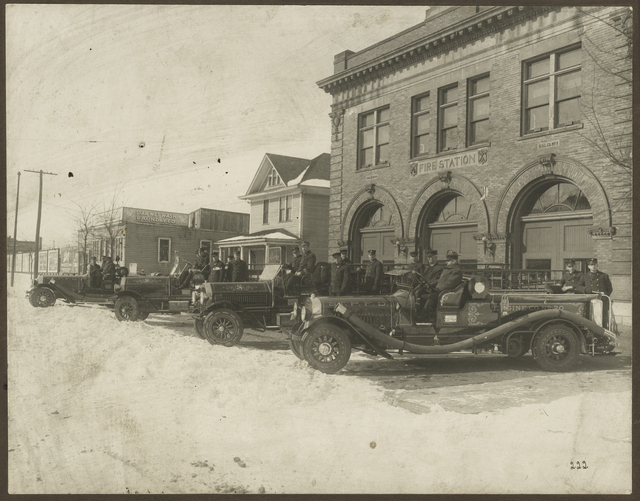 Jane McClure, “Fire Station 18,” Saint Paul Historical, accessed April 18, 2019, https://saintpaulhistorical.com/items/show/282. To learn more about the historic photographs displayed in this story, visit the Minnesota Historical Society’s Collections Online.